Sleek and versatile, the Metallic Series Railing Planter is the perfect addition to any deck, railing or balcony. 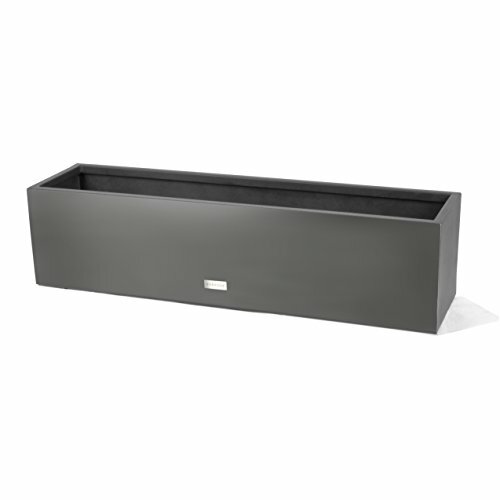 Featuring a contemporary trough design and fully adjustable railing brackets, the Railing Planter can be easily installed on railings of varying sizes. All Railing Planters are crafted from fully seam welded, thick gauge, galvanized steel and are proven to resist weather related cracking and rust, both in winter or summer. All Metallic Series planters are solid, yet lightweight and are protected by a strong, scratch resistant, UV resistant powder coat, ensuring that they will stand the test of time in both commercial and residential settings. In addition, all Metallic Series planters are equipped with styrofoam insulation to help ensure that plants stay healthy in both hot and cold extremes. With a Veradek product you can rest assured that you are receiving the perfect balance of design, durability and convenience.